Propharma Australia manufactures and supplies a range of Weather Shield loose lick supplements with toxin binders to manage and combat outbreaks of Perennial Ryegrass Toxicosis (PRGT), more commonly known as Ryegrass Staggers. Outbreaks of ryegrass staggers occur every year in Australia, specifically in Tasmania and Southern Victoria, where serious outbreaks have been responsible for the deaths of thousands of sheep and cattle, as well as horses and alpacas. deaths; typically from drowning and accidents caused by a lack of coordination. The staggers are caused by animals eating plants that are infected with an endophyte fungus which produces 2 toxins; Ergovaline and Lolitrem B. These toxins are in fact beneficial to plant growth, but are harmful to the animals that graze on it. Ryegrass stagger outbreaks are most likely during the warm and wet months found in Australia from December through to May. The toxins are mainly concentrated in the seedhead and crown of the grass. By including the loose lick supplements with toxin binders in the livestock feed the effects of the rygrass staggers can be significantly reduced. The binders bind the toxins, preventing them from effecting the livestock. 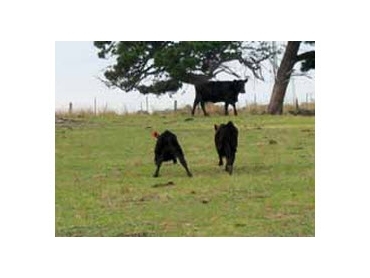 The loose lick supplements offer a cost effective solution for the management of livestock and reduction of PRGT incidents. Typical consumption is 10-20g per animal per day for sheep and 100-150g for cattle. The Weather Shield loose lick supplements are weatherproof for self feeding systems and have the added benefit of providing essential salts, minerals and vitamins for the increased health and nutrition of the animals. Contact Propharma Australia for more information on reducing the harmful side effects of PRGT and to order Weather Shield loose lick supplements with toxin binders.